This piece was discussed in the Cincinnati Magazine article. 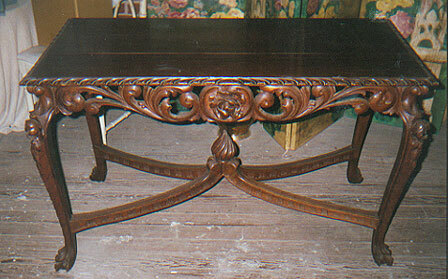 The client had always wanted an elaborate Italian style figural table. Such pieces are not readily available and the finish was also a consideration.